Christmas has come early for petrol heads. The latest version of the worldâ€™s best-selling sports car — nearly 40 000 of the last generation of M3s were built — has been unveiled along with the new M4 coupe. 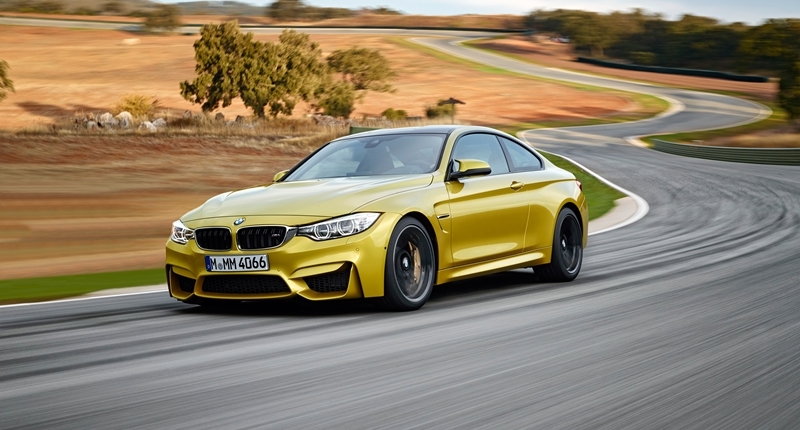 Following its new nomenclature, BMW will not offer a performance coupe wearing the M3 badge. Instead, as with its siblings, the sedan will carry the M3 badge and the coupe will be badged as an M4. 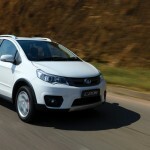 The new models are powered by a high-revving, twin-turbo inline six-cylinder engine producing 321kW and 550Nm of torque and mated to with a 6-speed manual transmission or 7-speed M Double Clutch Transmission. Fitted with the 7-speed M-DCT system, both cars will accelerate from 0-100km/h in 4.1 seconds and on to an electronically limited top speed of 250km/h. The modern sports car market is a competitive place, and BMW enlisted its finest engineers from deep within the ///M division to develop the two models. BMW also had 2012 DTM champion Bruno Spengler and ex-Formula 1 driver, now BMW DTM racer Timo Glock help hone and focus the M3 and M4. The engineersâ€™ first project was the engine, which has shrunk from a 4.0l V8 to a 3.0l straight-six with the M TwinPower Turbo layout. A lighter engine with cleaner emissions, BMW ///M engineers have increased the power from 309kW to 321kW and torque has been increased from 400Nm to a 550Nm. This is achieved through clever use of the M TwinPower Turbo technology which comprises of two mono-scroll turbochargers (rather than the TwinScroll system on the early BMW turbo models), are aided by a variable valve timing system. This VALVETRONIC system, attached to a Double-VANOS camshaft, allows the engine to adjust its valve timing throughout the rev range. This results in a smoother, sharper and more continuous power delivery when driving aggressively, and reduced fuel consumption and emissions when operating in urban environments. The powertrain is attached to an Active M Differential, the same system fitted to the M5 and M6, to optimise traction during performance driving through an electronically controlled multi-plate limited slip differential. To maintain the high performance figures demanded by sports car owners, the engineers at BMW ///M needed to minimize the weight of the M3 and M4 without losing any of the modern comforts that drivers demand. Simply stripping the car out like a track special is not acceptable. On the outgoing model, coupe models had a carbon-fibre-reinforced polymer or CFRP roof. The CFRP roof is now available on both the M4 coupe and the M3 sedan, saving 4 and 6kgs respectively. Other components manufactured from CFRP include the propeller shaft, strut braces and a number of suspension components resulting in a total weight saving of 80kgs over the more sedate 3-Series and 4-Series models. 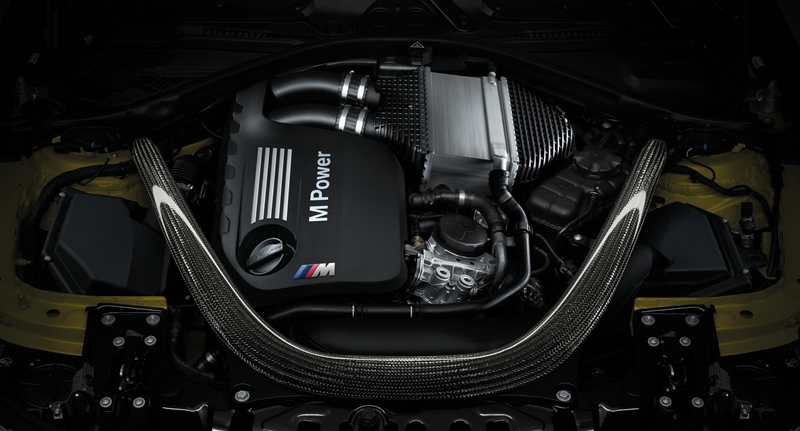 A number of optional extras are available to optimise your M3 sedan or M4 coupe to heighten the performance. An optional M-Drivers pack adds a number of suspension tweaks and raises the speed limiter to 280km/h. The BMW M Laptimer App allows drivers to monitor their performance around a track and view corner-by-corner information on the iDrive system. 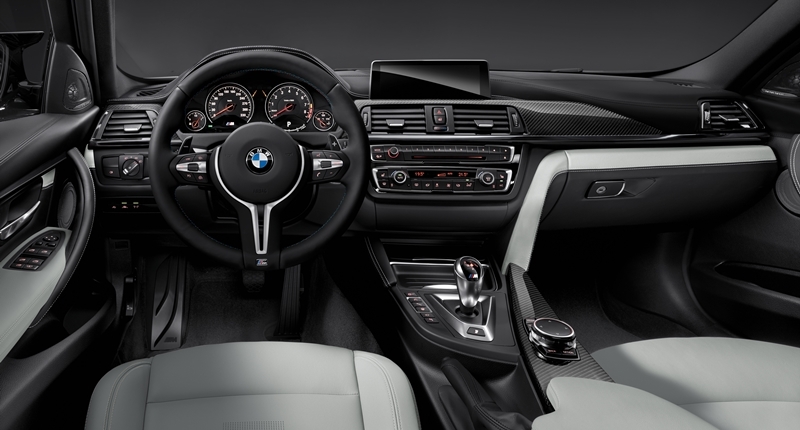 Finally, to ensure driversâ€™ eyes never leave the road, the Head-Up Display on the M3 and M4 comes with additional M-specific functions like gear display, rev counter and shift indicator. The M3 and M4 will be launched on the international market in May. Matt is the founder and author of Car Life. A digital native who loves cars he quickly realised this put him in the precarious position of often being asked car-buying advice. He circumvents this by telling everyone that he once owned a sunrise yellow Fiat Panda 1,1. He also wrote his entire bio in the third person for dramatic effect. Relationship status: Desperately seeking a muscle car.